Get 30% off dresses, skirts and accessories and an extra 40% off sale styles at LOFT. Valid in stores and online. Since no code is needed you can use the stackable code INSIDER664 online for an additional 25% off full-price purchases of $100+. 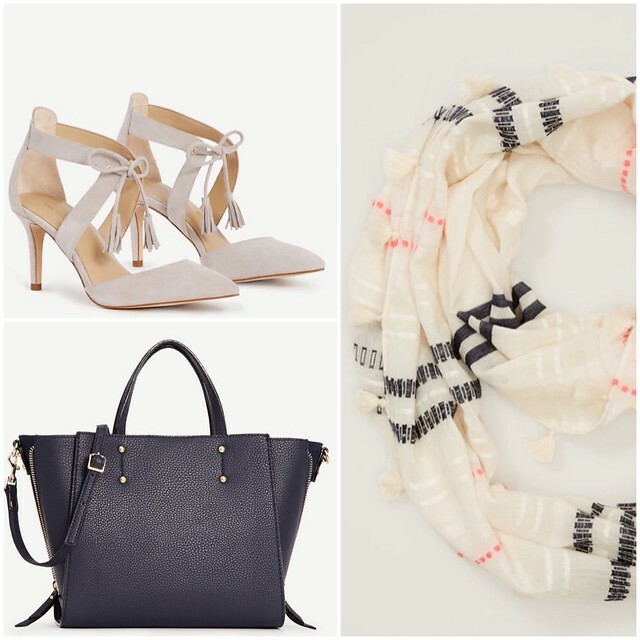 Get 30% off shoes and accessories and an extra 50% off sale styles at Ann Taylor. Valid in stores and online. Sale ends 2/11 at 12AM EST. Since no code is needed you can use the stackable code ANNT3BE online for an additional 25% off full-price purchases of $100+ (exclusions may apply). Otherwise use the code SHIP125 for free shipping on orders of $125+. Note: The shopping cart only takes one code per order. That’s a total of 47.5% off select full-price styles for both current promotions! Update 2/10: I went in stores today to look for the tassel suede pumps to try on but I still couldn’t find them. 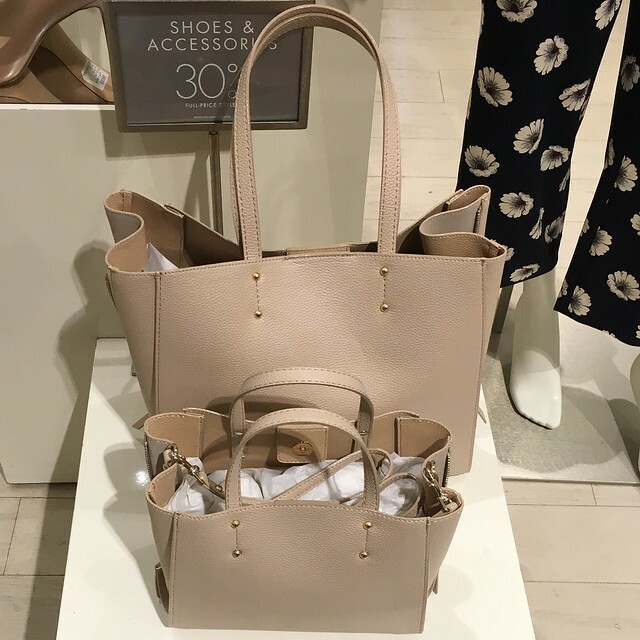 I did take a closer look at the new signature totes and here is what the small crossbody looks like next to the large tote. I was curious about the quartzite color and it’s a dark grey in person as pictured below. I have to tilt back the screen on my laptop for the stock image to look like the color I saw in person. They changed the strap yet again this season and it now has an adjustable buckle. I really wish they would bring back the gorgeous chain strap. Due to the placement of the straps the trapeze shape is only seen if you hand carry the bag with the two shorter straps. 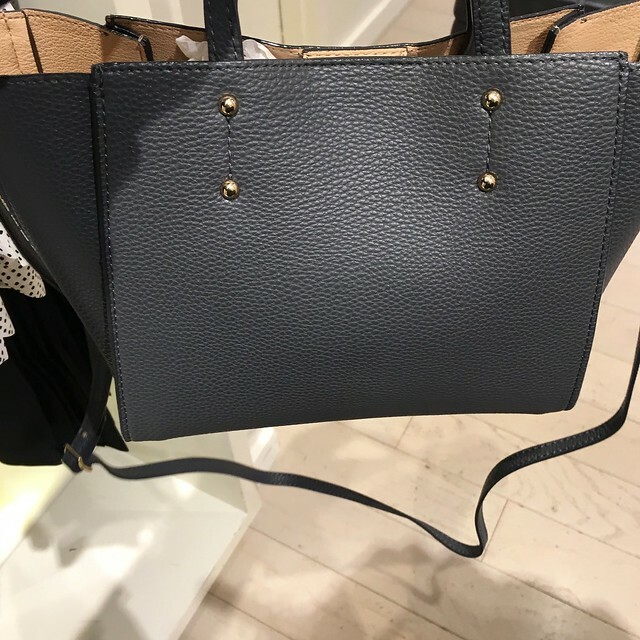 When you use the crossbody strap the bag looks like the above picture. When the side zippers are open the side gussets show off a suedette material which is a slightly different shade/texture than the faux leather material. Both bags only have one inner zip pocket now and the small outer pocket has been removed along with the gold emblem from the first iteration (reviews here and here). 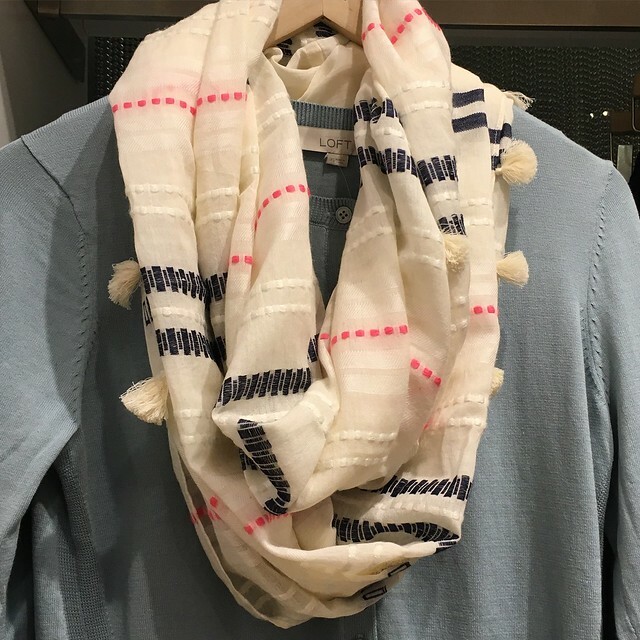 I spotted this striped tassel scarf in stores today and it’s exactly as pictured. The pink thread is the color of bright maraschino cherries and not red like I thought since LOFT’s stock images can be over exposed making it hard to see the true color. Lastly, I received this mixed metallic fringe pendant necklace and the little bars have a good weight to them. My necklace did arrive tangled in the mail so just beware of that if you purchase it online. 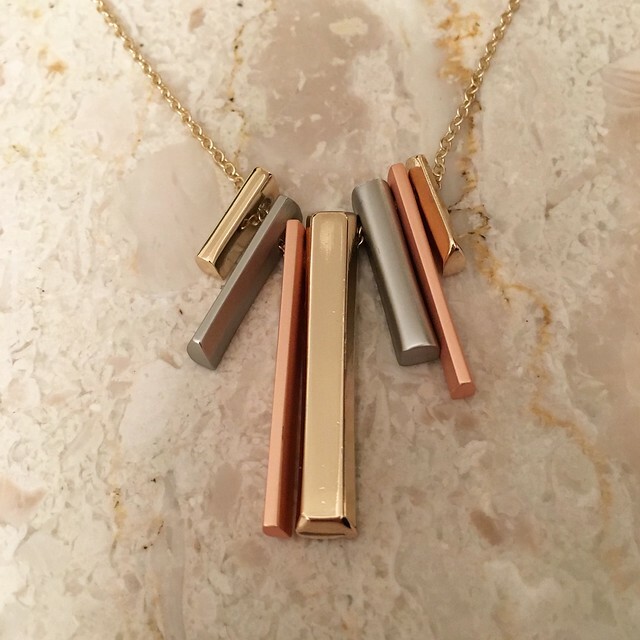 I really like the simplicity of this piece and the chain has a few adjustable lengths but it’s definitely a long necklace even at the shortest length with a 15″ drop (which translates to 30″ total length). I’ll wear it at the shortest length since I’m only 5’2 1/4″. Also, the longest bar in the middle is 1.5″ and the short bars on each side are 0.5″.